Niklas Kronwall did leave his feet to strike Nikita Kucherov Monday night during the Red Wings' Game 6 Stanley Cup playoff loss to the Tampa Bay Lightning. It's the type of dangerous hit that has no place in hockey, nor any sport for that matter.. But if the NHL is going to take measures such as suspending Kronwall, the Red Wings' best defenseman and in some ways their most important player, for such a critical game, the league must become much less arbitrary in its rulings overall. The NHL has traditionally set different standards for the playoffs. Presumably it's why Montreal defenseman P.K. Subban, the Canadians' top player and perhaps the best defenseman in the league, wasn't suspended after his two-handed, baseball-swing-like slash fractured Ottawa rookie-scoring sensation Mark Stone's wrist. Moments before Subban had his stick way up, made contact and was, oddly, not given a penalty. At Tampa in Game 5, in an act that seemed like revenge for an earlier incident, Lightning defenseman Jason Garrison finished off the Red Wings' Justin Abdelkader by running his head into the boards. Abdelkader was half-way-down and in a vulnerable position at the time. A few years ago in the playoffs, just as a game ended, Nashville defenseman Shea Weber slammed Detroit's Henrik Zetterberg's head violently and dangerous into the boards. No suspensions were handed down after each of the above-mentioned incidents. So why this one? Kucherov was carrying the puck at the time Kronwall hit him. The referees saw the play. They didn't even call a penalty. If the NHL is going to gain the credibility it has lacked because of these type of subjective rulings, it has be more standard across the board. As is, everybody is confused, from the players to the fans, about when they are going to let "the boys decide it on the ice and play" and when they are going to "call the game according to the rule book." And when player safety really seems to matter, and when it really seems like it doesn't. - The idea of Kyle Lobstein as a successful MLB pitcher goes against conventional wisdom. He is a classic soft-tossing lefty and there are gimmick outpitches. But you must give him credit, he is still able to keep MLB hitters off-balance with a fastball in just the mid 80s half-the-time. He has been impressive today. His ERA for the season is 3.18. His WHIP as a MLB pitcher is near 1.3. He is pretty good. - Miguel Cabrera. Opposite field home run. Classic Comerica Park moment. We saw another one of those today. - It was overdue for the Tigers to honor Lou Whitaker like they did today, but truthfully they need to do more for him and Alan Trammell. It's one thing for the duo to be ignored like they have been by Baseball Hall of Fame voters, but another here in Detroit. The Tigers seem to be against the idea of putting up another statue at Comerica Park in their honor, but I think it would be appropriate. They are what symbolized the '84 Tigers more than anything else. A saying as old as football itself is that an offensive line is only as strong as its weakest link. It's undeniably true. But you also need exceptionally strong links to build the chain. 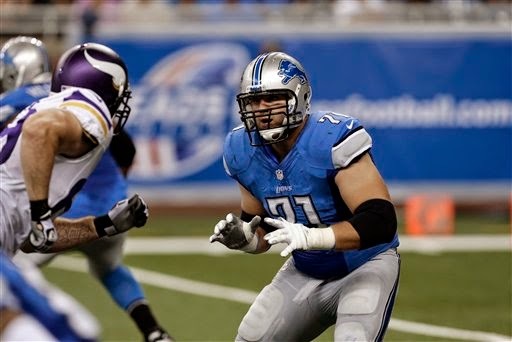 As such, this is the season the Lions need tackle Riley Reiff and guard Larry Warford to step forward. Maybe it was a new offensive system, which send out an extra receiver and subsequently put more pressure on the offensive line to keep out defenders one-on-one, but the Lions' QB Matthew Stafford was sacked nearly double the number of times (45) in 2014 as he was in 2013 (23). The Lions rushing attack was terrible. They averaged just 3.6 yards per carry and 89 yards per game in '14. That was down from 4.0 yards per carry and 112 yard per game in '13. Warford played at Pro Bowl level as a rookie third-round draft pick in 2013. He wasn't nearly as effective in 2014, although he was fighting through knee injuries. Reiff, the Lions' first-round draft pick in 2102, who played very well during his first season as a starter at left tackle in '13, was visibly beaten for sacks last season, including on the play that essentially ended the Lions' season vs. Dallas in the playoffs. Both these players are immensely talented. Each took a step back instead of the anticipated step forward last season. 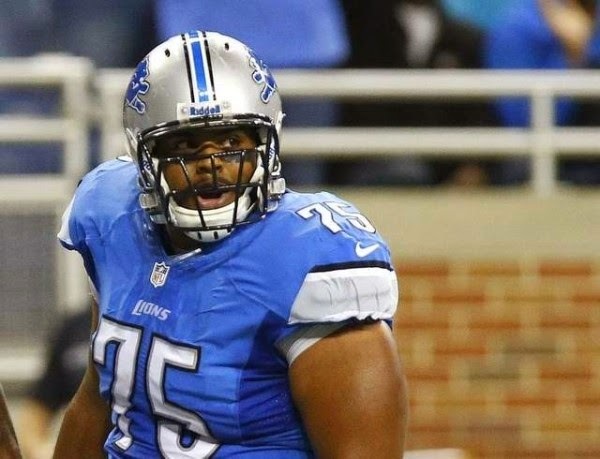 The Lions will have to fill holes on their offensive line, especially now that they have cut Rodney Austin this week. But as the off-season program begins, there are a number of places the Lions need year-to-year improvement. None is more important than with Reiff and Warford on the offensive line. 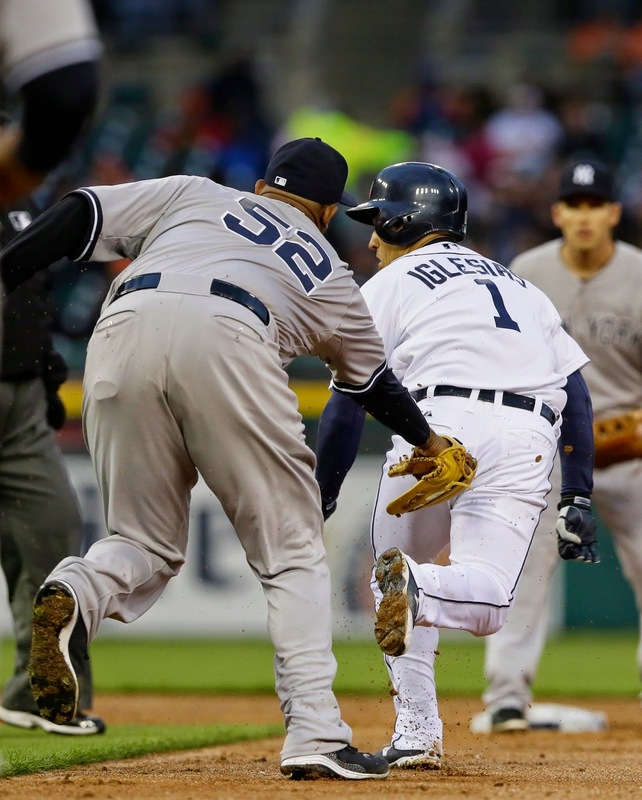 - James MaCann throwing out Jacoby Ellsbury and Jose Iglesias making the in-the-hole play on Brett Gardner were emblematic of why the Tigers are so much better this season. They have shown power and starting pitching, but the biggest improvement is defensively. Neither player was with the club last year. The play by Iglesias was one of the best I can ever remember a shortstop making on such a fast runner hitting from the left side. - The home run by Mark Teixeria off Alfredo Simon I thought was a mistake pitch. Not the location. It was low and on the outside part of the strike zone. But it was a flat pitch. And why not throw him fastballs? Seems like Teixeria doesn't hit the hard stuff like he used to. - C.C. Sabathia has become the classic pitcher. He is making a lot out of reduced stuff. The double play ball is killing the Tigers tonight. Yoenis Cespedes has the type of talent that could win an MVP Award some day. His home runs in recent days have been absolutely incredible. He has speed, a great arm and a real good idea at the plate. He's at the point in his career where experience and his prime should merge. Today might be a sign of things to come in 2015. - It's amazing how routine Jose Iglesias made Tyler Flowers' slow grounder in the hole look during the fifth inning. Last year, when Iglesias was out, that play was an adventure for Tigers' shortstops. 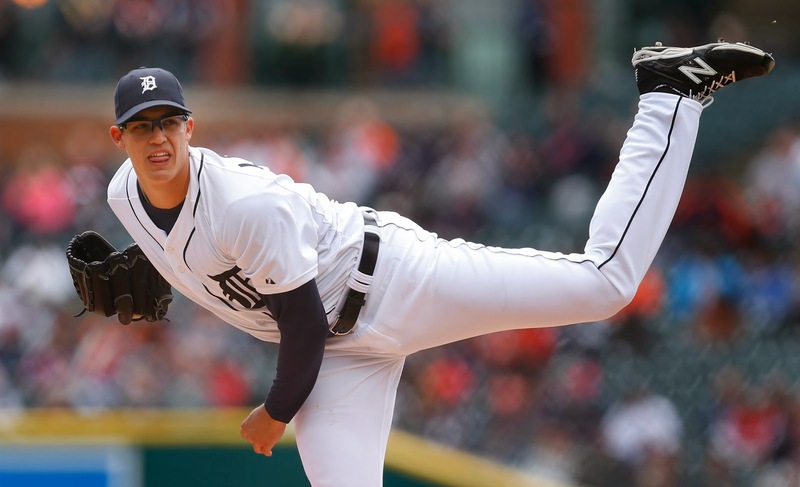 - Watching Rick Porcello struggle today in the early innings vs. Baltimore for the Red Sox, and Shane Greene sail through the White Sox order so easily, it's not a stretch to suggest the Tigers didn't lose anything by replacing Porcello in their rotation with Greene. Opposing hitters just haven't been getting good swings against Greene. It's a sign he has excellent "stuff." His command has been pretty good, too. Certainly, considering Porcello got an $82 million contract with the Red Sox, the price is right. - With all the Tigers' right-handed thunder, I don't envision relatively soft-tossing left-handers like Jose Quintana faring well against them. Quintana appeared completely overmatched today. What a beating. By far the best running back in this NFL Draft, and the top talent at the position in several years, is Todd Gurley from Georgia. The comparisons to Marshawn Lynch and Adrian Peterson are not an exaggeration. But his knee injury (ACL), suffered late last season, should keep the Lions from drafting him. They need a fast running back after finishing near the bottom of the NFL in rushing last year, even with defenses loading up to stop their passing attack, and displaying light boxes up front literally daring the Lions to run the ball. But Gurley's progress is unknown, and will still largely be even after a scheduled evaluation by teams this week in Indianapolis (he wasn't examined at the combine). This is known: Gurley is going to be, at best, limited for the off season program and likely training camp. His impact, which could be extreme, is likely to come down the road. The Lions need to win now. They can't afford to wait, and even if Gurley is there at 23rd overall, it doesn't make sense to take him. Ideally, the Lions get a third-wheel for a three-back system with Joique Bell and Theo Riddick. 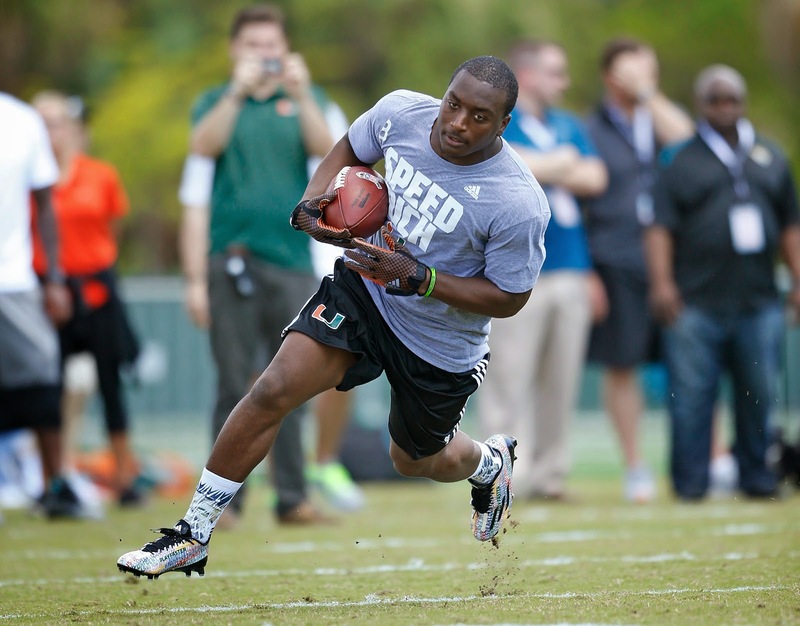 An ideal back to combat what defenses are doing against the Lions appears to be Duke Johnson from Miami. He has good breakaway speed. He ran a 4.51 40 at the combine. He isn't a top inside runner, but the Lions have Bell to do that. Johnson's initial burst is what separates him. They need a back more threatening in space than Bell and Riddick to gash the creases that are naturally wide with the five- and six-man fronts they see. Johnson is the best fit for the Lions in that regard in a what is a deep draft for running backs. What the Lions don't necessarily need to do is stretch for a classic three-down running back. 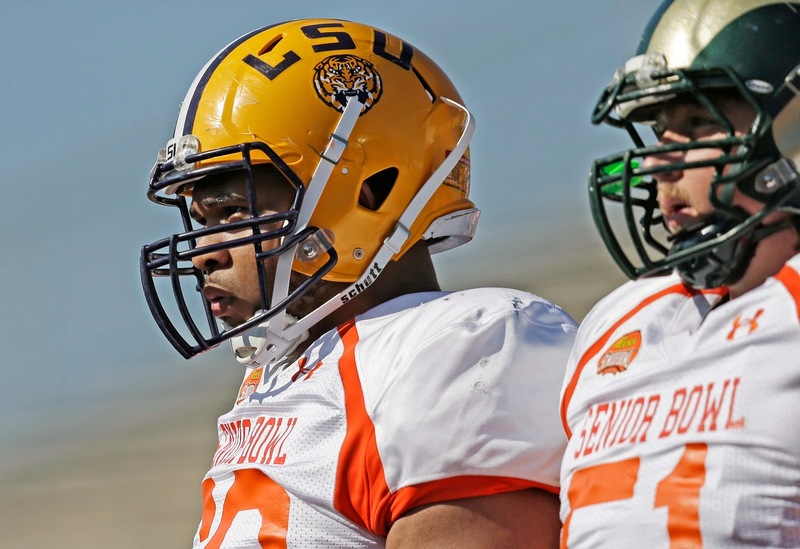 In the first round, the best way for the Lions to fill their needs and aid their running attack would be to draft LSU offensive lineman La'el Collins. Not only does he project as a long-term starter with a good upside, but he is advanced enough to start immediately at right tackle or inside at guard. I wrote after the Senior Bowl that I felt Collins was the ideal fit for the Lions in the first-round. I still do with the draft just a little more than two weeks away. - Rajai Davis has surprising power, especially against left-handed pitching. His home run came off a change up away. Not that many batters are going to hit pitch out. - Alfredo Simon has an average MLB fastball. His breaking ball is his out pitch. Because he is tall (6-foot-6), the 12/6 break he has consistently features makes his breaking ball even more effective because of the increased tilt. It makes it difficult for hitters to lift the ball against him. Last year, 13 of the 22 home runs he allowed were in the small ball park in Cincinnati. - That was a nice play by Nick Castellanos in the sixth inning. Perhaps he is making progress defensively. His range is still limited, but not nearly to the same degree as last year. 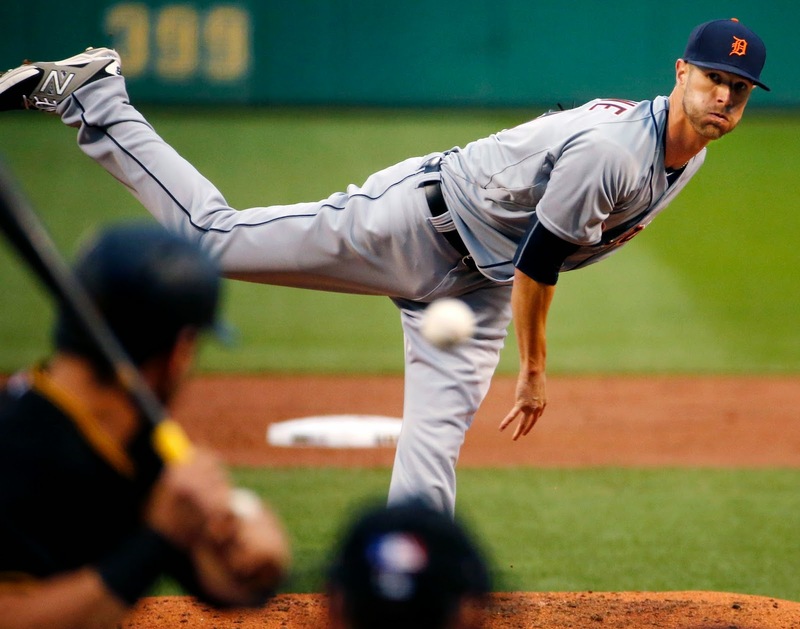 - It took the Tigers longer than you'd expect to break through against Pirates' starter A.J. Burnett. The two-out hit by Rajai Davis was huge. I think it was a good decision by manager Tigers' Brad Ausmus to not over-react there and pinch hit either Anthony Gose or Victor Martinez for Davis. It was a good piece of hitting by Davis to lay off Burnett's breaking ball and a high fastball that was close before delivering the hit. - It continues to be obvious just how important the return of Jose Iglesias is to the Tigers. It's weird, but he seems like a more settled and consistent player than he was before forced to sit out the entire '14 season because of injury. Watching Iglesias and Ian Kinsler turn a routine double play is like watching some sort of baseball arm form. - Shane Greene does have the ability to miss bats, but what is really impressive is how it doesn't seem like hitters get quality swings against him. It's a lot of weak grounders. The Tigers improved defense should help him. In fact, it has tonight. That was nice play by J.D. Martinez in the sixth. 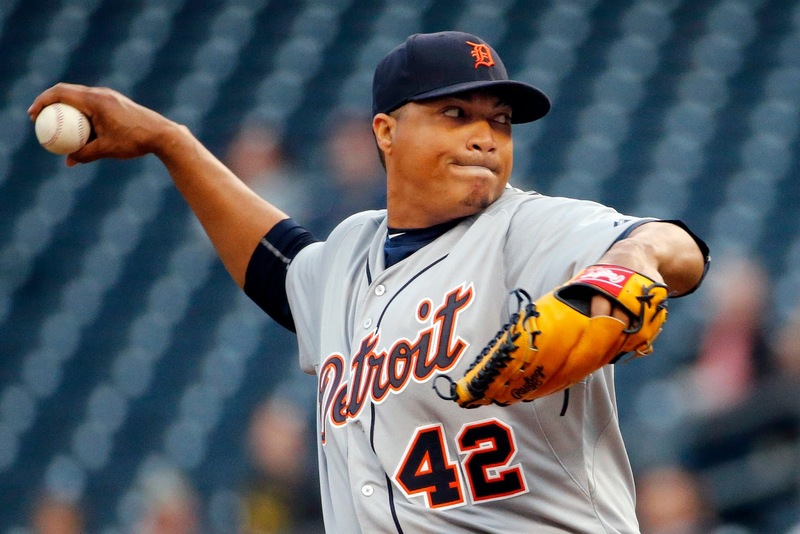 - This could be the Tigers' bullpen first real test this season. We'll see if it passes. 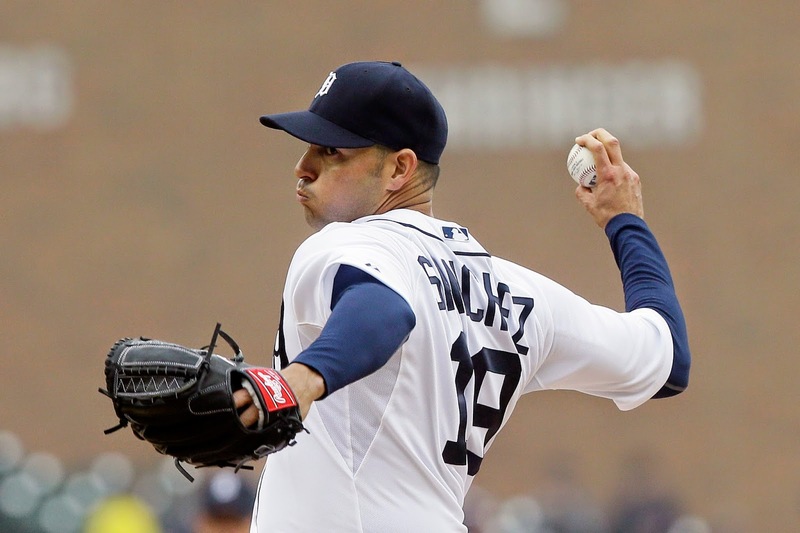 - Anibal Sanchez has been terrific through the first part of the game, just like last season. The test will be how he does the third time through the Twins' order. Last season, it was a huge problem. He averaged less than six innings per start in '14 because his ERA rose to 5.14 in the sixth inning and 11.57 in the seventh. We'll see today if he has improved in that area. It's imperative the Tigers' starters pitch deep into games to shorten the use of their decidedly underwhelming bullpen. - I don't what the situation was for Ian Kinsler at Texas, but whatever they were, those issues have not been a problem for the Tigers. He has played excellent baseball since the day he arrived, and he continued the pattern he started last year this season. His clutch single essentially broke this game open during in the third inning. He had another clutch RBI hit in the fourth. - You could just tell how hesitant Twins' starter Ricky Nolasco was to throw his fastball against the heart of the Tigers' order. The Tigers took full advantage of the situation as Nolasco was rendered to throwing mostly sloppy curveballs. - If there is any lingering effect from Jose Iglesias leg injuries from last year, it is not noticeable. He is running well. It was evident on his double, when he legged out an infield single and scored from first base on a triple by Anthony Gose. 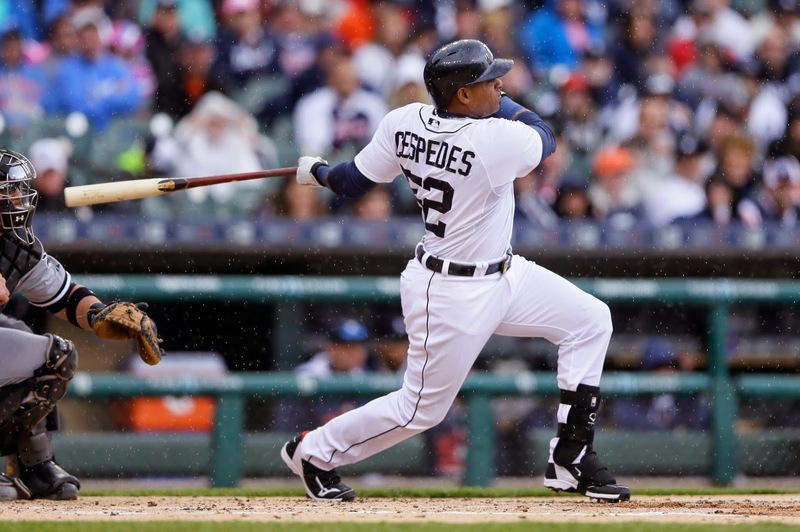 - One of the worst aspects of the Tigers last season was their play at shortstop. It was minus eight defensively according to metrics with Andrew Romine and Eugenio Suarez. Jose Iglesias is a big upgrade. I am not saying he isn't. And I don't mind a little bit of flair, but does he have to do it on every grounder. Just sayin'. 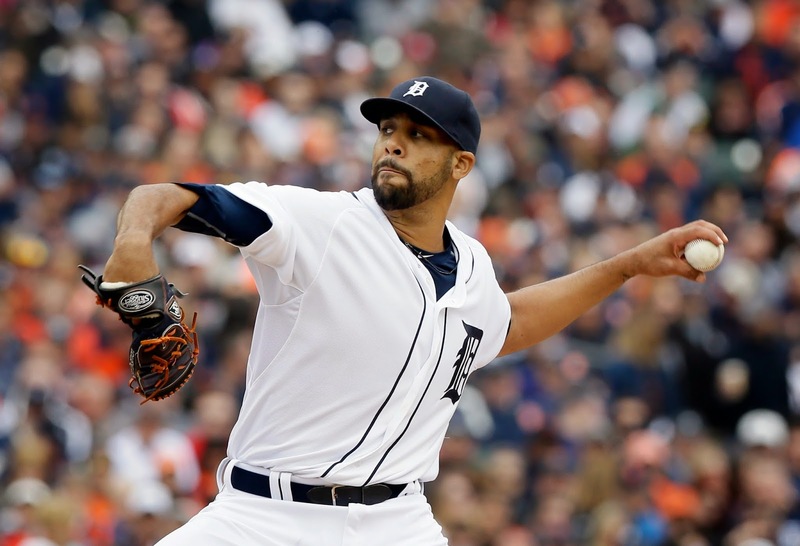 - The good news is the Tigers have David Price and Yoenis Cespedes this season. They are both performing exceptionally well. The bad news is they are not signed past this year. It makes it even more imperative the Tigers come through in 2015. - Just like last season, the Tigers are running a lot early this season. They didn't continue the trend as the season moved on '14 because they started getting thrown out with regularity trying to steal. They will continue to run this year, though, because they have much improved overall team speed. Phil Hughes fastball is perfect velocity for the Tigers, 88 mph to 91 mph, and they are taking full advantage of it. His pitches are flat, too, and catching the heart of the plate. - J.D, Martinez has incredible power. Not many right-handed hitters are going to drive it over the big wall in right-center at Comerica Park, especially on a 52-degree day. That was a bomb. 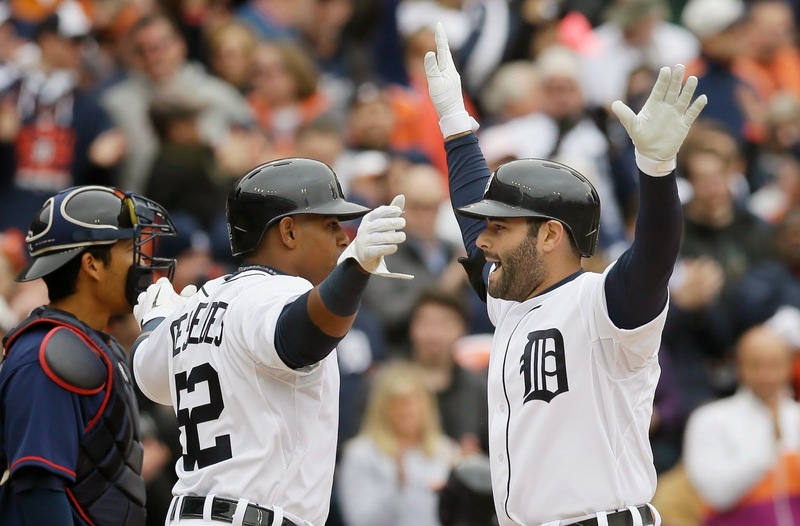 - Alex Avila is at his worst when he is pull happy. He is at is best when he hits the ball where it is pitched. Thing is, he does have power to drive the ball the other way. His home run was a very good sign. - David Price has such good command. It's a joy to watch him pitch. Good first two innings for him. Redemption for Jimmy Howard? Not really. It was one game, but he was a money goalie Saturday in the Red Wings' 3-2 shootout victory at Minnesota. It like Howard has been in the past, but not lately. Howard played well down the stretch of regulation and truly held his ground in the shootout for a refreshing change. The Wild have been playing excellent hockey and it was a desperately-needed two points on the road for the Red Wings. But the Red Wings have had a few nice wins, and some good goaltending mixed in, with mostly subpar overall play and mediocre goaltending since coming back from an outstanding and long road trip that took up most of February. We'll see what Howard has to offer in his next star,t and Petr Mrazek Sunday vs. Washington. It's a quick turnaround against a very good team and a truly great player, the Capitals' Alexander Ovechkin.